The new covered stadium for Christchurch has the green light. Last month the Christchurch City Council voted in favour of using $220 million of funding promised to the city by the Labour-led Government to ensure the multi-use half-billion dollar stadium will go ahead. It will be only the second of its kind in the country. As a business man in this city I applaud the decision. A new covered multi-use arena will take the city to a new level, not only by hosting events that will provide access to top notch sporting and cultural entertainment, but also by bringing people and economic activity from wider Canterbury and the greater South Island. We won’t be missing out on Ed Sheeran-type concerts in the future with their huge financial injections into the economy – and our champion Crusaders rugby team will have a home ground worthy of them. Short and longer-term accommodation for participants and spectators at events at the stadium is going to be highly sought after. That’s why we are seeing inner city apartments being snapped up right now. 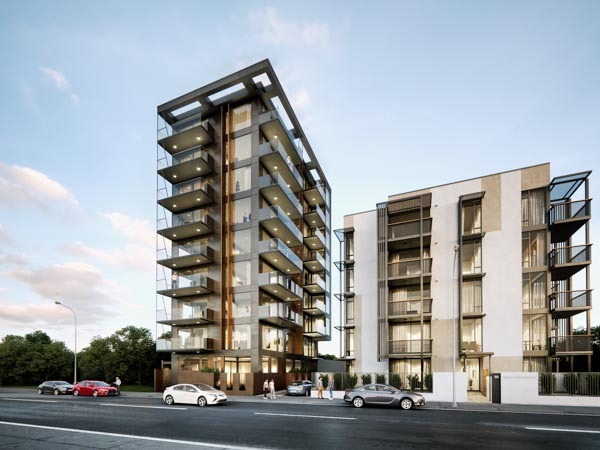 Scheduled for completion in late 2019 is a new apartment development adjacent to Cranmer Square called The West Kilmore Apartments. The nine-level building comprises 17 luxury apartments with one, two and three bedroom options, designed by architects Wilson & Hill. The stunning views and high specification certainly make the West Kilmore Apartments a superior choice in inner city living. We are currently selling them off the plans with prices from $475,000. Contact me at mark.oloughlin@harcourts.co.nz for further information.